I would want the Emerson Backpack Satchel! Very cool giveaway! The audrey patent hobo by london fog is perfect for me! Love this giveaway! This is awesome! Love the princess clutch you are showing here. oh man.. very nice company! i'm usually not much of a handbag person (or accessories in general) but i really love a lot of these. gonna have to go with... the Emerson Backpack Satchel ! i have a dorky school-store backpack & this one would be oh so more stylish. You have the best giveaways Erika! My favorite is the Broad Ripple Buckle Tote. such a beautiful handbag!! LOVE it! I love the Princess Clutch that you are showing! 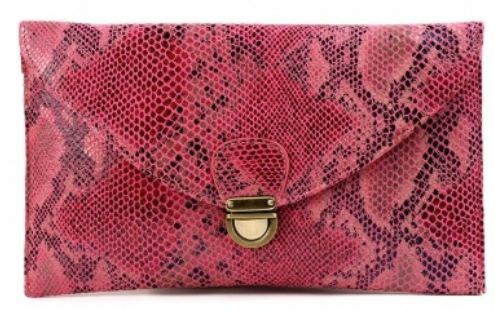 I love the Luna Frame Clutch in Coral Pink. I like Handbag Heaven on FB. The first one is so cool! It's gotta be the Britt Leopard Wallet, right? What else could it be ;-). Thanks for another awesome giveaway! They're all so fabulous, but I like the Sami quilted handbag the best. Also, I am a follower. this pink python-print clutch is lovely! I really like them all, but I keep going back to the Raquel one that you got! Pink AND animal-inspired? LOVE. I really like the sigma pocket satchel in black. I'm all about the satchels this year. i follow you on GFC and Twitter. my fave bag is the Kendall Messenger satchel. i like Handbag Heaven on FB and I follow them on Twitter! i really need a new black handbag, but i am loving the elise oversided one in green! My favorite item is the Elise Oversized tote! I follow you of course. I love the PAIGE QUILTED SHOULDER BAG. 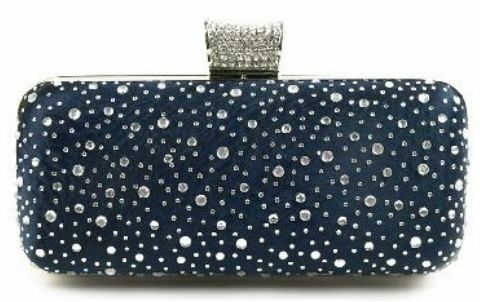 Love thoses clutches... So pretty! I'm in love with the pink clutch that's on display here. Wow, what a sweet giveaway! I am trying to win this for my wife. She has tons of purses and always wants more. She would like the Irvington Studded Satchel. It is her favorite color. I love the emerson backpack! I like the Laura Buckle Hobo in black. I Like Handbag Heaven on Facebook. I am Following Handbag Heaven on Twitter. I'd love to have the Seraphina Ruffle bag in both Orange and Blue Denim! My favorite is the Seraphina Ruffle Bag. The Lydia Shoulder Clutch caught my eye. The avery studded shoulder bag looks like a winner. I love the Perforated broad ripple satchel in blue! Gorgeous! I think I covered all three plus the extra two, sorry for confusion! :-) Happy New year! I like the SIGMA POCKET SATCHEL! !